Numark empowers their user with products that seamlessly combine a classic feel with cutting-edge performance capability. 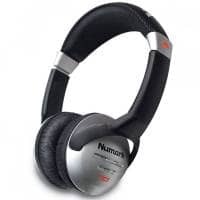 Numark is one of the largest manufacturers of DJ equipment in the world, with global distribution and sales that double its closest competitor. When they first started out Numark mixers were the mixer to own, and today Numark digital DJ controllers are setting the same standard. Numark is a member of the inMusic Brands family.